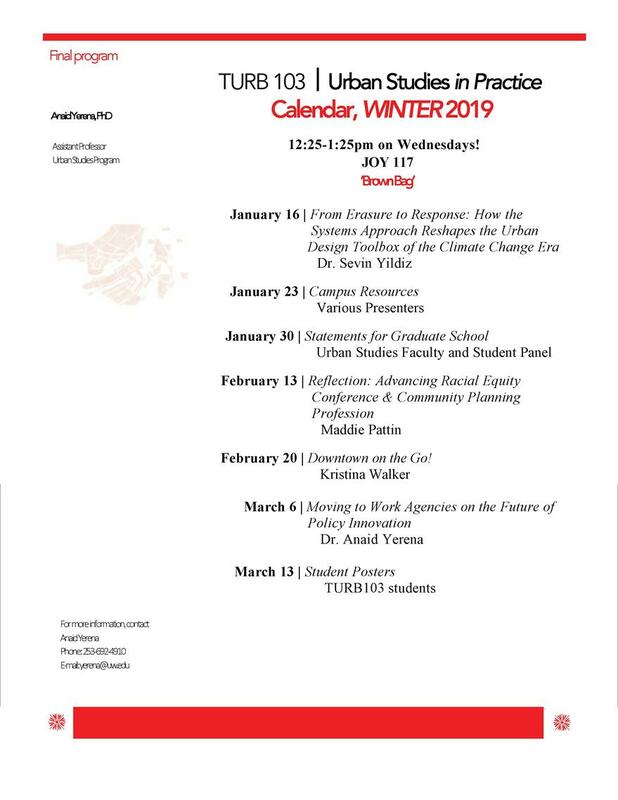 Wednesday, Jan. 23, 2019, 12:25 – 1:25 p.m.
T URB 103 Urban Studies in Practice is a series of 'brown bag' talks open to anyone at UW Tacoma -- students, faculty, staff -- anyone interested in hearing how Urban Studies links to to real world practice. Brown Bag lunches are encouraged! Today's topic is UW Tacoma Campus Resources. Hear from the Teaching and Learning Center, Office of Student Advocacy & Support, Career Development, our Urban Studies Advisor and more.